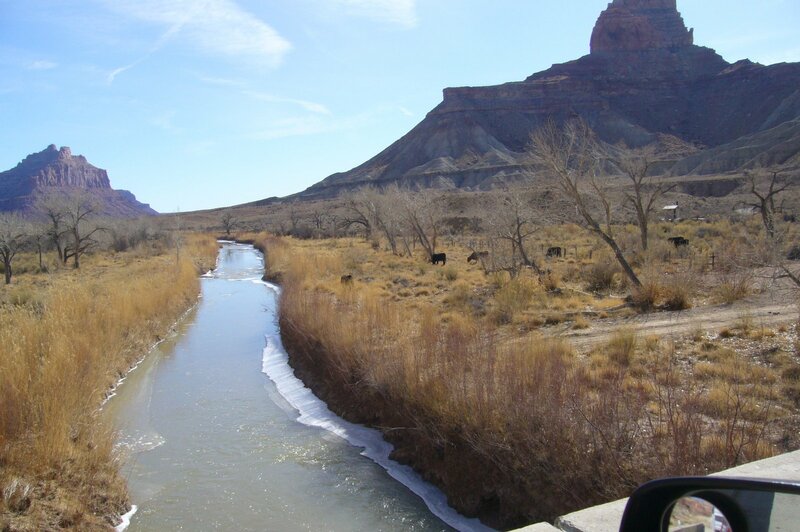 My wife, Kirsten Allen, and I spent the last weekend in January in the San Rafael Swell, BLM managed land in central Utah. Anywhere else in the country and this area would be a national park. But in the lineup of spectacular landscapes in Utah the Swell has not made the cut. Yet. We drove in from Castle Dale, a Mormon hamlet northwest of the Swell. The road in is all but paved. Granted it was January, but we were still a bit surprised to have the place all to ourselves. 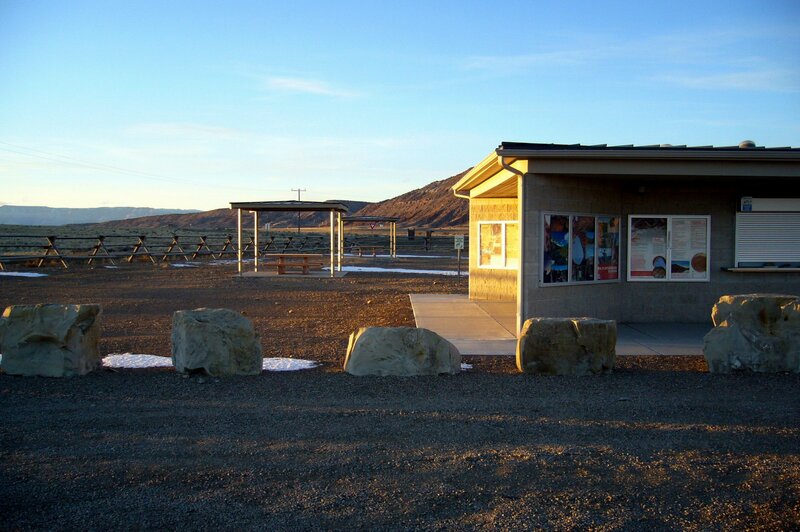 And surprised to see a visitor center and Old Spanish Trail installation on the way in to Buckhorn Wash.
One of the reasons the Swell is not a park is the resistance to public lands by rural county commissioners. 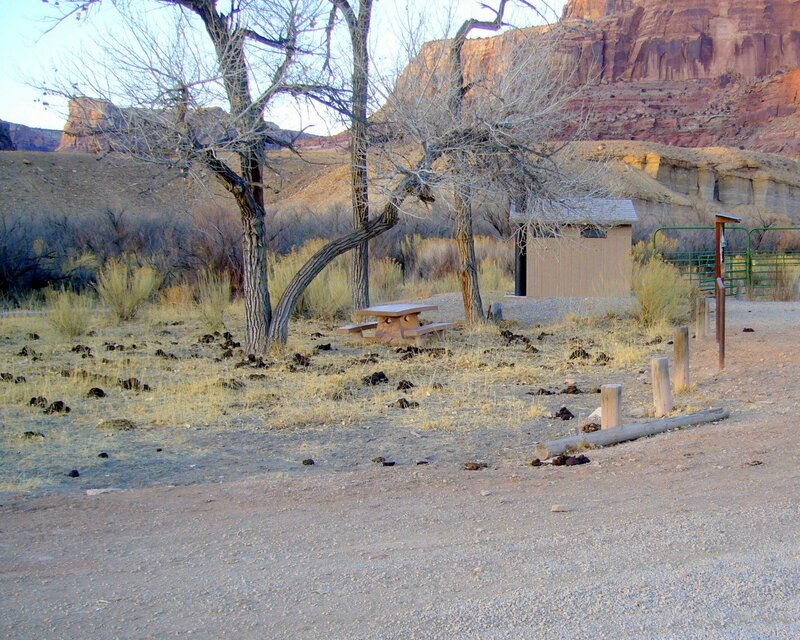 Of course, Utah’s fundamentally zealous elected federal officials, all who are Mormon, are furiously working to grab public lands for their own devices as well, but the movement starts with the counties. And most of the county commissioners are ranchers or have an affinity to ranching. Agriculture makes up less than one percent of Utah’s gross domestic product. Ranching is just a fraction of agriculture. And yet most of the state is grazed. 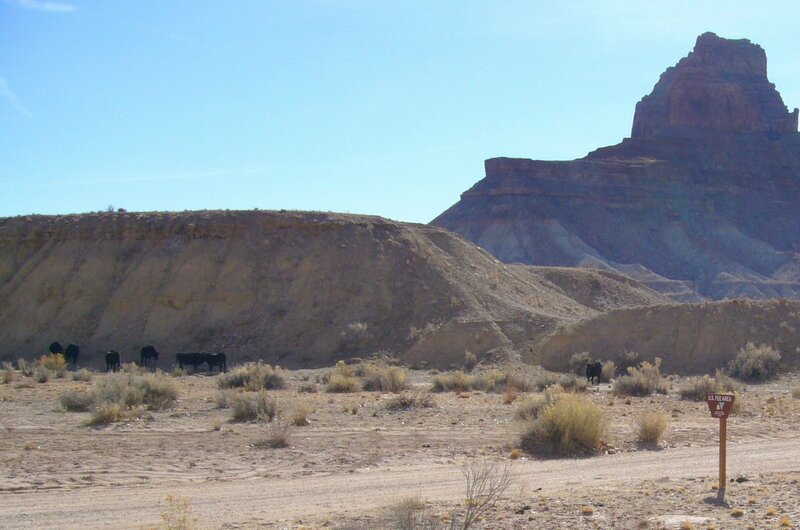 Nothing is harder on the arid public lands of the West than private livestock grazing. Most of the land is used for grazing, the economics are minimal, the ecological costs are high, and grazing fee has once again been lowered for 2018 to $1.41 per cow/calf pair per month. The price to camp, right on the river, in the heart of the Swell, is only $6.00 per night ($180/month, were you allowed to stay that long). 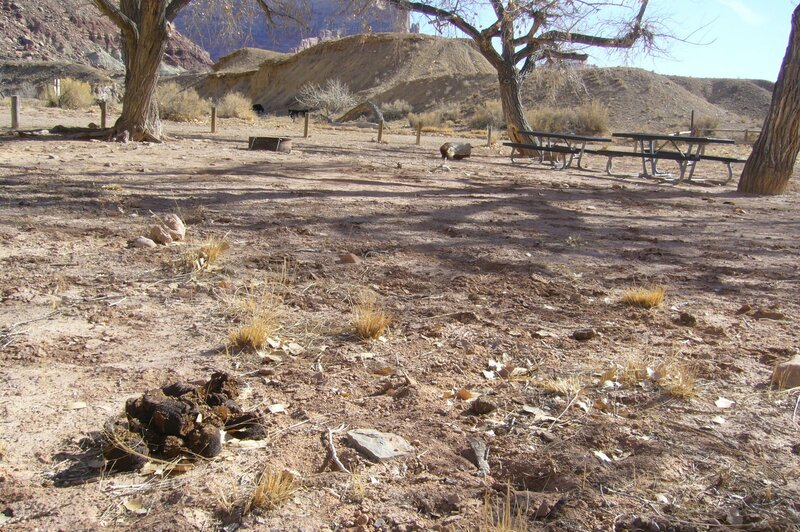 But you would not want to camp in this otherwise gorgeous, federally developed campground. It is full of cows and ankle deep in cowpies. You use the restroom. Cows use the picnic area. Enjoy your picnic. 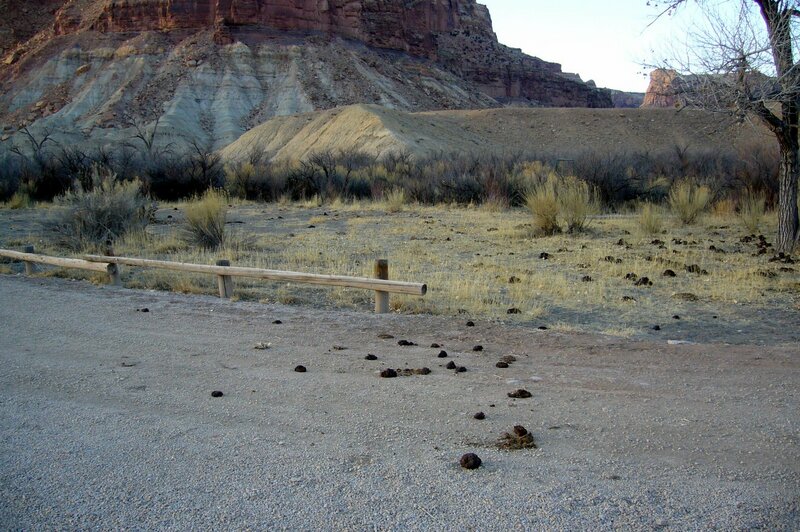 Apparently the BLM is letting the local grazing permittee use the campground as a stockyard. 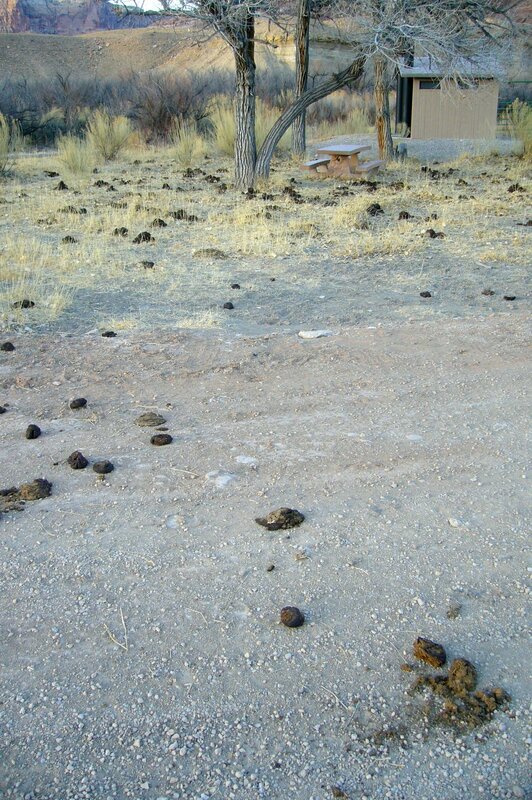 Cowpie campground post from The No Bull Sheet. we were at that campground recently — also mostly abandoned because of the weather, i think — and decided to find a less fouled site to throw out our sleeping bags. that wonderful old bridge there, hanging from cables, bounces if you jump. it was built, the sign says, to facilitate sheep drives across the river. 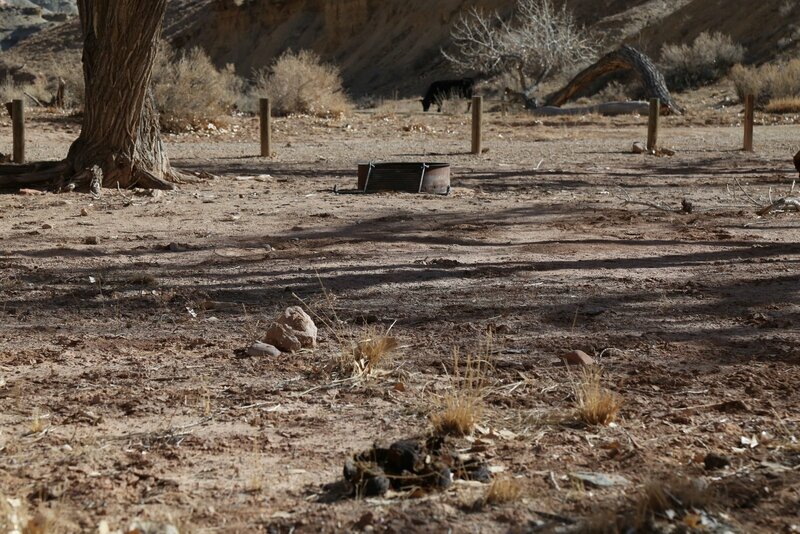 sheep, land maggots, cows — they make no sense in that delicate and fantastic environment, as you say so well.